The life is all getting busy in this contemporary life and our futuristic plans are just getting messed up due to shortage of time! The busy routines of life not leave us alone even for the shopping and hence home improvements are mostly get overlooked! If you are all free at weekends then spend some time with pallets which would not only be a good physical experience but would also be a way to get some free wooden furniture items and also various kinds of home improvements always in your imaginations! Get yourself involve into this DIY pallet wall paneling project and add extremely engaging wooden textures to your targeted walls! This is something you can do without getting expensive and results would also be amazing! 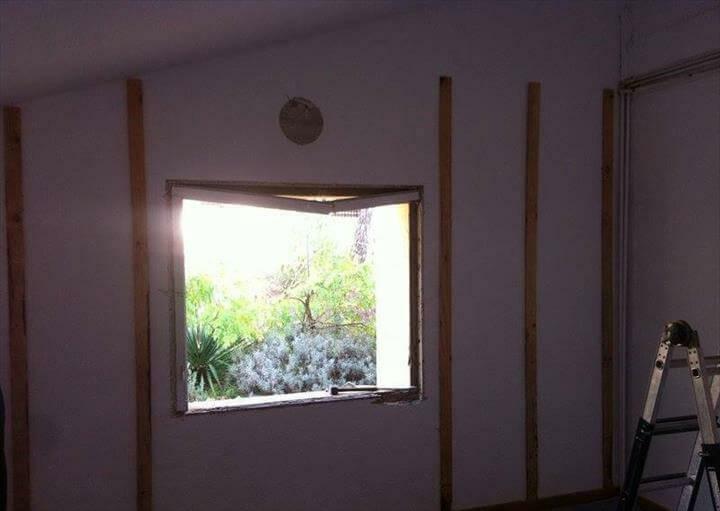 Just use all your crafting experience and apply your creativity on pallets as it has too much to give you! 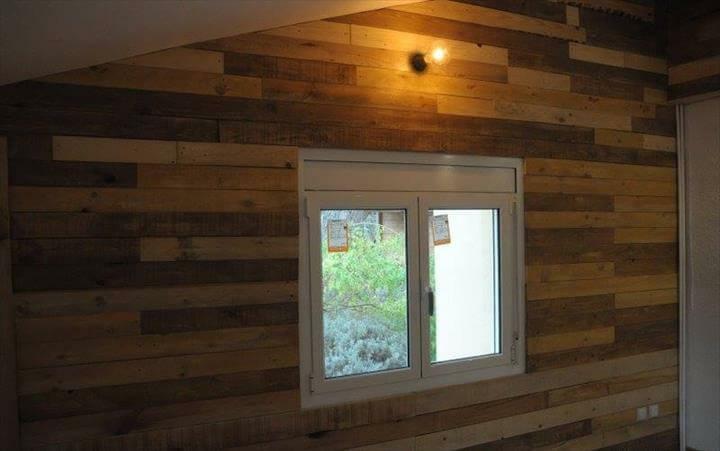 Checkout further details about interior wall paneling in these given DIY pallet projects and get your wall dignified in a budget-friendly way! 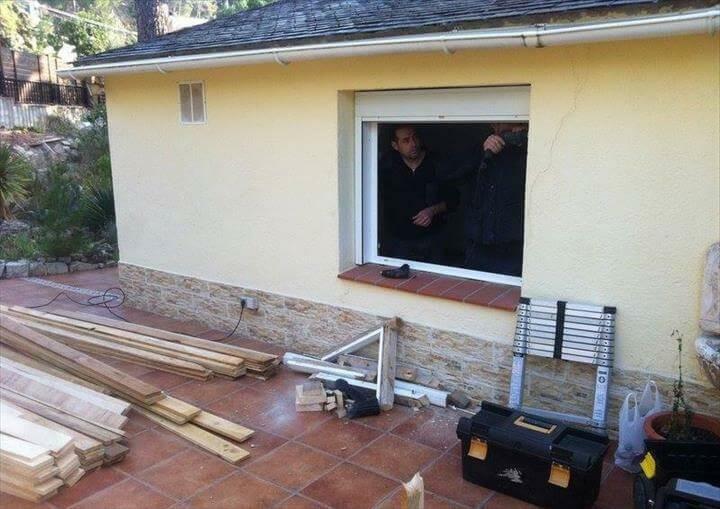 Just do a little planning first to make a good start as to analyze the wooden supply and tools and also those of taking measurements first always lead to better results! Just install the rough vertical lengths first on the marked boundary lines and this will be your primary wooden map for whole area which is to panel with wood! Use staircase to reach at desired height and now start filling the removed pallet slats horizontally, just no need to care about the sizes here, all you need is to go for random but precise filling of pallet slats! 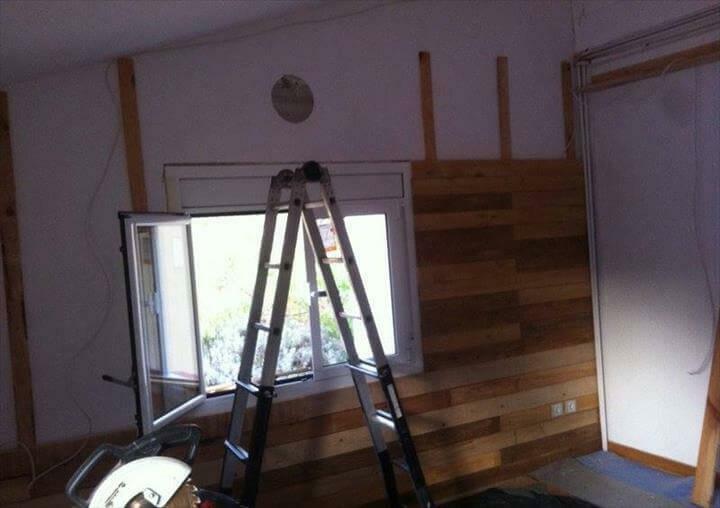 Make cuts in wood and let the electrical outlets come outside and just keep on adding again the removed straight boards of pallets till the fine solid look of wall! 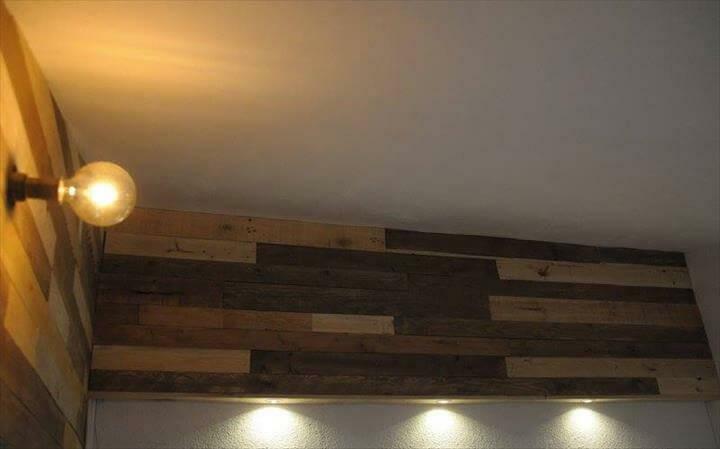 This project comes with a big creative twist here, the addition of lights, the amazing and very unique think to see in this projects, by taking advantage of thickness of install pallet wall the lights have been just fixed to bottom of it! 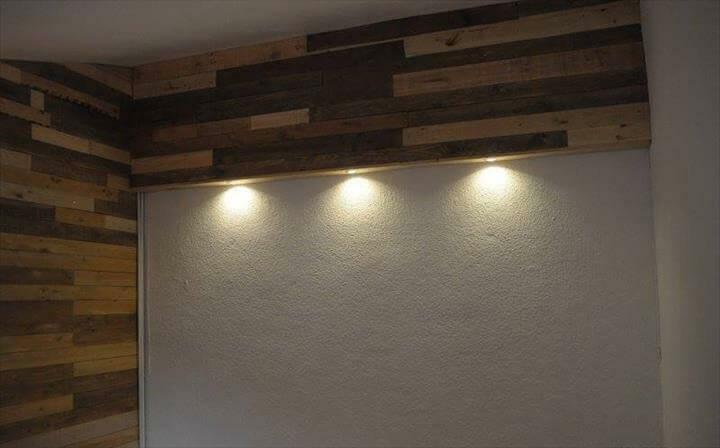 This wooden wall would also be friendly if you need to fix some metal hooks, nails and even the light bulbs over it! Furthermore, the installation of shelves can also be done with quite ease over the wood medium this will lead to you amazing decorative plans of home interior! Be a fan of this complete and precise filling of pallet slats that lead to a jaw-dropping wooden texture! 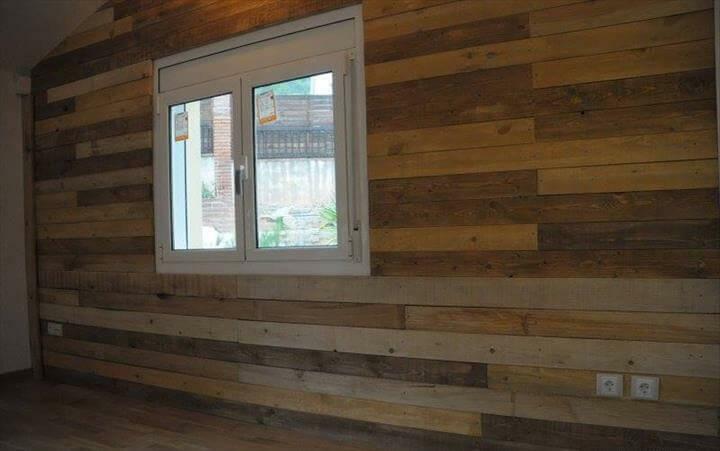 This wood wall will also make the room interior hygienic and insulated as environment profile and zero conductivity of wood are all to rock here!